A small team of Nissan development engineers working in their spare time have transformed a 350Z into a highly tuned ‘Saturday Special’. Called the GT-S, the supercharged super coupé is a performance-focused version of Nissan’s acclaimed ‘Z-car’ and is designed to appeal to enthusiastic 350Z owners who simply want more. Its first public outing will be at the Goodwood Festival of Speed (7-9 July) where it will join other exotic road cars in the Supercar Paddock and on the famous hillclimb course. This will be the fourth year in succession Nissan’s 350Z has starred at the Festival… and each year the Z taking part has become more extreme. In 2003, shortly after its UK launch, a standard road car more than held its head high among supercars that cost four or five times as much. 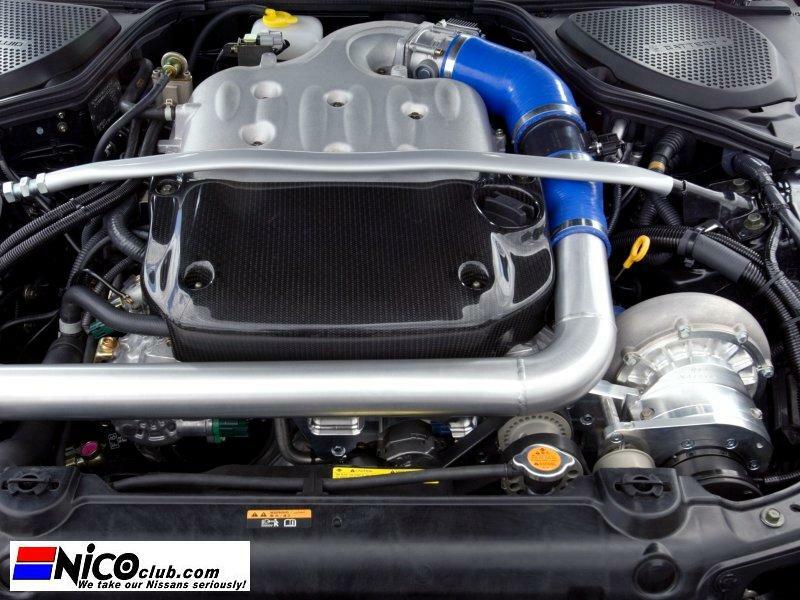 In 2004, Nissan’s Communications department, headed by Communications Director Wayne Bruce, had a standard road car modified with parts from Nissan’s after market performance arm NISMO and registered the car with the number GB53 ZZZ. Last year a 350Z NISMO GT was imported for the Festival, but for 2006 Bruce decided to continue the Z/Goodwood story with a special version built in-house and in the UK. He turned to Jerry Hardcastle, Director of Customer Oriented Engineering at Nissan Technical Centre Europe (NTCE) in Cranfield, Bedfordshire, for help. Together they kick-started the GT-S project: fittingly, the finished car will wear that GB53 ZZZ registration number. Although boasting a power hike and a substantially modified chassis, the GT-S is far from being a stripped out racing car with a rock hard ride and a peaky power delivery. Bruce says: "The GT-S has been created as a real car, not an ornament. "We wanted to build a ‘Club Special’ that could still be used to commute to work during the week but would provide added thrills at the weekend: a weekday workhorse and a weekend warrior in one distinctive package." The project’s technical leader Steve Robbins - who during the week is a senior engineer in the new vehicle evaluation team at NTCE - gathered together half a dozen like-minded enthusiasts to work on the project. The principal changes made to turn the 350Z into the GT-S centre on its engine and chassis. Using a supercharger installation from Swiss manufacturers Novidem, power has increased by more than 25 per cent from 300PS to 382PS, while torque rises from 353 Nm to a heady 425Nm. Performance gains are expected to include a one second cut in the benchmark 0-60mph time (5.8 seconds for the standard 350Z) with 2.5 seconds slashed from the 0-100mph time. And it sounds better, too, thanks to an electronically controlled by-pass valve that enriches the exhaust note at a pre-determined engine speed. NTCE engineers - the very men who tuned the original 350Z to suit European roads and our higher speeds - have undertaken the suspension changes. Working closely with specialists from Bilstein, the changes concentrate on optimising road performance, with improvements in both handling ability and ride comfort… particularly on British ‘B’ roads. Wider wheels and tyres complete the chassis alterations. 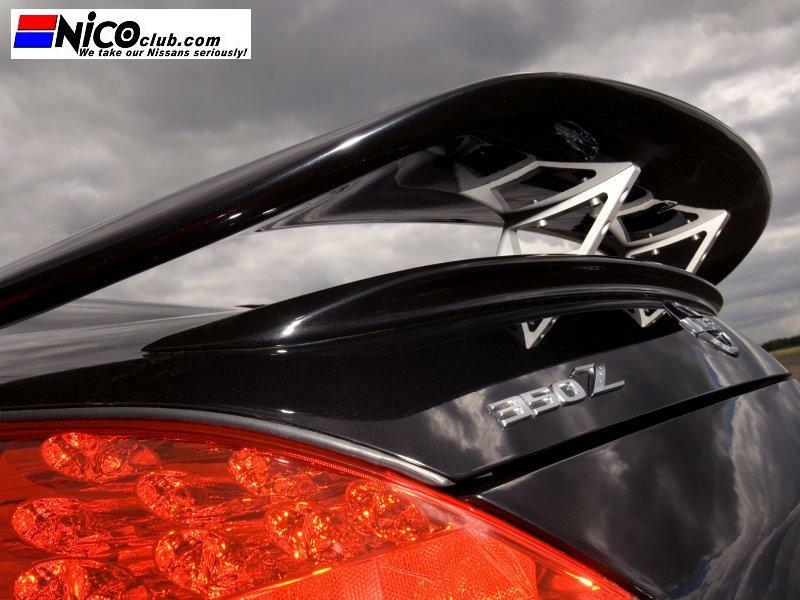 A wind tunnel developed body/aero kit from German firm Strosek not only gives the all-black GT-S a distinctive look, but also improves the 350Z’s aerodynamic performance with increased front and rear downforce at speed. 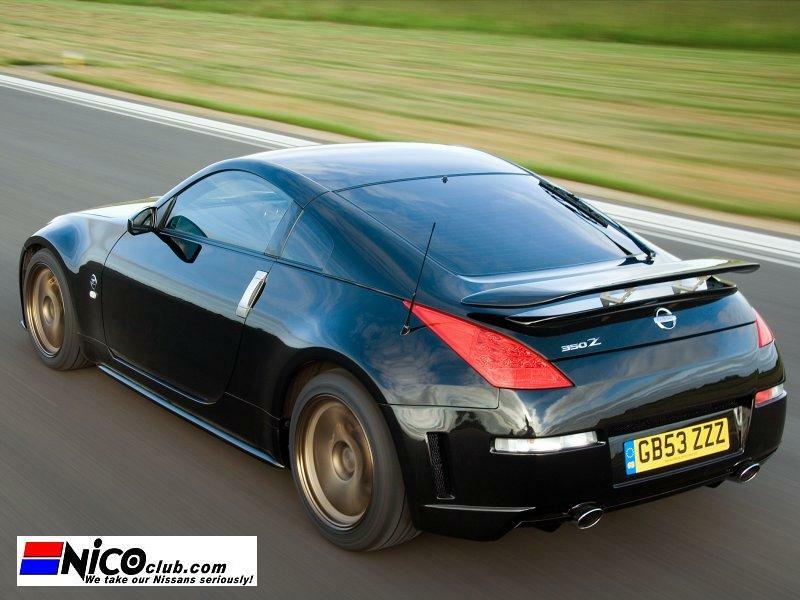 The package is completed by a NVH pack which makes the GT-S even more civilised than the standard 350Z. Steve Robbins said: "We could have produced a balls-out racer with huge power outputs and very little suspension movement. But while this would have created a superb racer, it would have been virtually unusable on the road. Instead we approached the GT-S from an engineering stand-point with a view to creating a 350Z that provides more of everything… performance, handling, looks, comfort and excitement. "We also looked at the possible marketing potential of such a project and have designed the improvements as individual ‘packs’ - an engine pack, a suspension pack, aero pack and so on - and kept a close eye on costs."